THE third largest fund manager in the country, RHB Asset Management Sdn Bhd, has set a target of RM58 billion in assets under management for the year and plans to launch 16 funds in Malaysia and 25 funds across the region. In the first part of this two-part series, Ho Seng Yee, its CEO and regional head of retail distribution, attributes its optimism to the rapid growth of its overseas businesses and positive outlook for the overall industry. Despite the uncertainty in the financial markets this year, RHB Asset Management Sdn Bhd CEO and regional head of retail distribution Ho Seng Yee remains upbeat about the fund management industry’s prospects. “We are still positive on the overall industry because we have a growing economy. Despite the government’s revised target of 4.5% to 5.5% [GDP growth], that is a decent growth rate for the country,” he tells Personal Wealth. 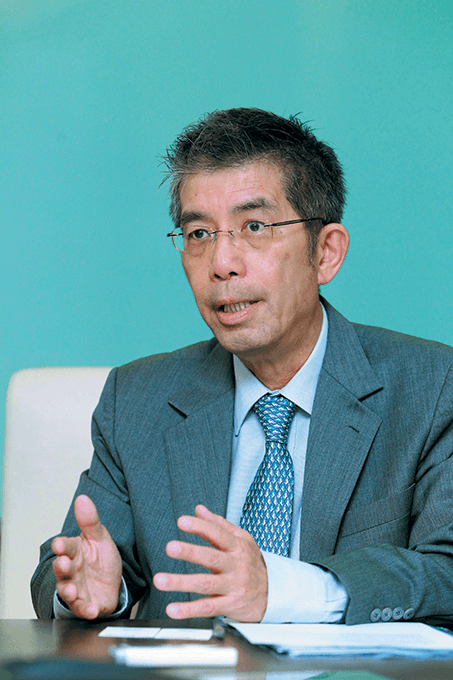 “We believe assets under management (AUM) in Malaysia will continue to grow,” he adds. Ho’s forecast comes on the back of a good year for RHBAM, which has gone from strength to strength. Last year, it grew its AUM by 23.7% to RM48.6 billion. The company is currently the third largest in the industry by market share. It has already set a target of RM58 billion in AUM for the year, and plans to launch 16 funds (conventional and Islamic) in Malaysia as well as 25 funds regionally, focusing on Singapore, Indonesia and Hong Kong. It will be investing in equities, bonds, shariah-compliant equities and sukuk. These are ambitious targets, but Ho’s confidence stems from the rapid growth of its overseas businesses, which have seen double- and triple-digit growth thus far. “Last year, we grew 23.7%, which is a lot by industry standards. This [RM58 billion in 2015] is an achievable target because our Malaysian and regional businesses are growing fast,” he says. According to RHBAM managing director Eliza Ong Yin Suen, the contribution of its Malaysian business rose 17%, while that of its Islamic business increased 80%. Regionally, its business in Indonesia saw 80% growth, while those in Hong Kong and Singapore grew 60% and 100% respectively. Ho attributes the growth of its overseas operations to their lower base, compared with the Malaysian business, as well as its merger with OSK-UOB Investment Management Bhd in December 2013. The merged entity has strengthened its reach in both its existing markets and new markets. “In addition to Malaysia, Hong Kong, Singapore and Indonesia, we have acquired clients from the Middle East and Brunei. Today, with RHB Banking Group, we have stronger support and branding, platform, systems and new distribution channels,” he says. The company saw a greater contribution in terms of AUM from its overseas operations last year — 12% of its total AUM, compared with just 3.5% in 2013. It aims to increase the figure to 14% this year. Its Malaysian business, however, will continue to be the most significant contributor to its growth. Ho attributes this to its track record of almost 20 years. Going forward, the company plans to introduce more funds that feed into its existing funds in Singapore. The growing wealth of individuals will translate into growth for the asset management industry, as more wealth means more savings, or more demand for more financial products to invest with. According to World Bank data, Malaysia currently has a GDP per capita income of US$10,500 (RM37,550). As the country approaches high-income status, the Prime Minister’s Department has set a target of US$15,000 by 2020. “In Malaysia, we see more mass affluent and retail investors who invest in asset management. The [amount of] funds being managed is also increasing. More corporates and institutions are putting funds with asset management firms, some in unit trusts, and some in [private] mandates,” Ho observes. To cater for more affluent investors, RHBAM plans to offer more innovative products. An example is the RHB-OSK Pre-IPO Special Situation Fund 2, which Ho says has been quite well received by its customers since it was launched in June 2014. “We launched an innovative fund last year. It is the second series of the one we did in 2011 to a feeder fund managed out of our Singapore office. It has become very popular, with a good take-up rate,” he says. The RHB-OSK Pre-IPO Special Situation Fund 2 feeds into a private equity fund aimed at achieving long-term capital appreciation through pre-IPO and special situation investments. The minimum investment amount of RM50,000 has allowed retail investors to have exposure to private equity investments, which are normally reserved for the high net worth segment. As for its other offerings, RHBAM currently has the sixth largest market share in the private retirement scheme (PRS) industry, with RM27 million in AUM. Ho says the company is planning to launch two Islamic funds and three conventional funds by the second quarter of this year. “We will have three core funds and two non-core funds. For the non-core funds, one will be an aggressive fund while the other will be a moderate strategy fund. Our new PRS funds will have mandates that mirror our existing funds that have been successful,” he adds. Ho believes that the high net worth group will be an important part of RHBAM’s growth, as Malaysian investors become more sophisticated. “Generally, Malaysian investors are not as exposed. They are more conservative and would rather stick to traditional products. But this is changing,” he observes. This year, the fund house is looking to grow its high net worth client base to reach its AUM goal. Ho says it plans to market more products to clients across the region. “For the high net worth segment, we are looking at a mandate of preserving income and for retirement. It could be a very simple absolute return mandate covering Malaysia, regional markets or Asia ex-Japan. It could be a balanced or a pure equity mandate,” he adds. To capitalise on this, RHBAM will begin offering products in the alternative investment space, where demand has been growing. “We plan to introduce real estate funds that provide you regular income over time, which is available to high net worth clients. We might even offer hedge funds, subject to regulatory approval,” says Ong. Ho is quick to emphasise that introducing innovative products does not necessarily mean higher risk. “When we say innovative products, it is not a hard to understand, complicated or risky product. It is one that has a successful strategy and which has been implemented elsewhere, but not in Malaysia yet. This article first appeared in Personal Wealth, a section of The Edge Malaysia, on February 16 - 22, 2015.